Taste, this guy has it! Today, I finally saw the driver of this magnificient machine (bald dude with a beer belly wearing a track suit). 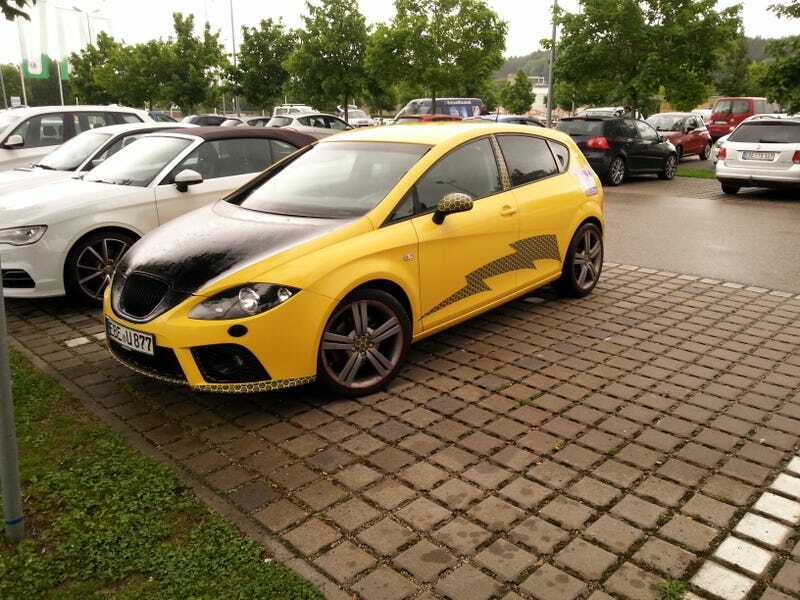 He started with a Seat Leon which is a good looking car. The PMY with the flat black hood can be seen as a tribute to ‘70s rally cars. The fake carbon fibre vinyls though? And it doesn’t get better near the back. “Wuschel” translates to “Fluffy” which seems kinda fitting for this dog. I guess this gives him extra street cred. Always remember: Aesthetics alone can scare the crap out of an opponent!